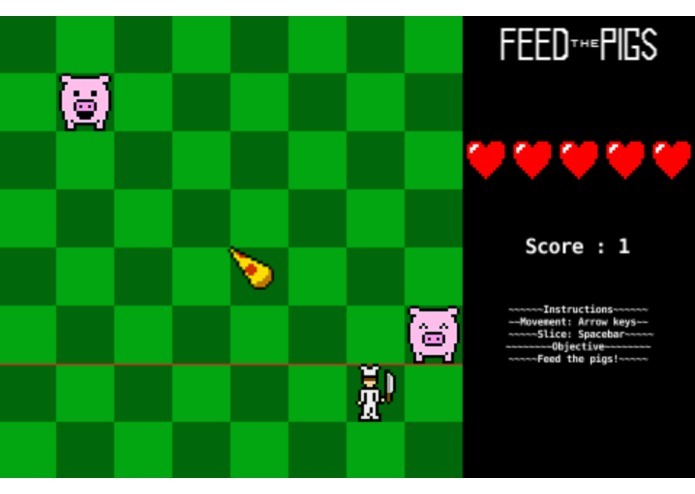 I wanted to create a simple arcade game about things I love, like food and pigs. This game lets you feed pigs while testing your geometry skills. I built this web game Defold game engine using Lua. I made the art using link. The most difficult part of this project was figuring out the algorithm to spawn the pigs in the correct locations. It was also difficult to create a game using a new language. I am proud of creating a working game in a short amount of time using a game engine and language I have never used before. I am also quite proud of the fairly cute pigs I drew. I learned how to use Lua and Defold, as well as the patience it takes to learn something new.